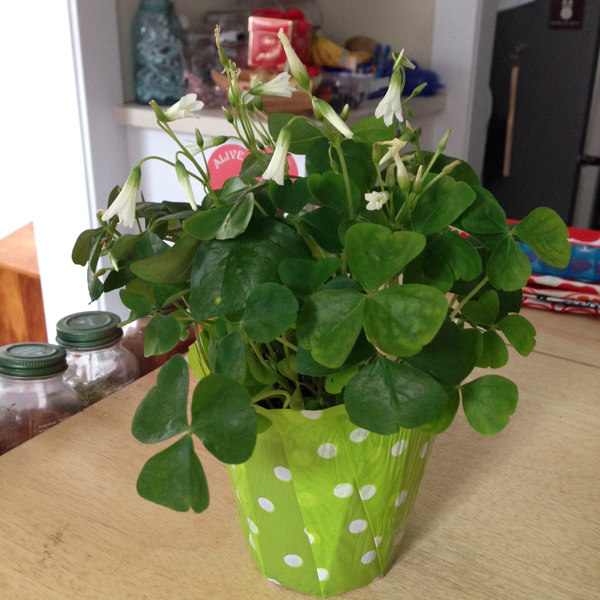 Shamrocks, aka Oxalis, are my favorite house plant. 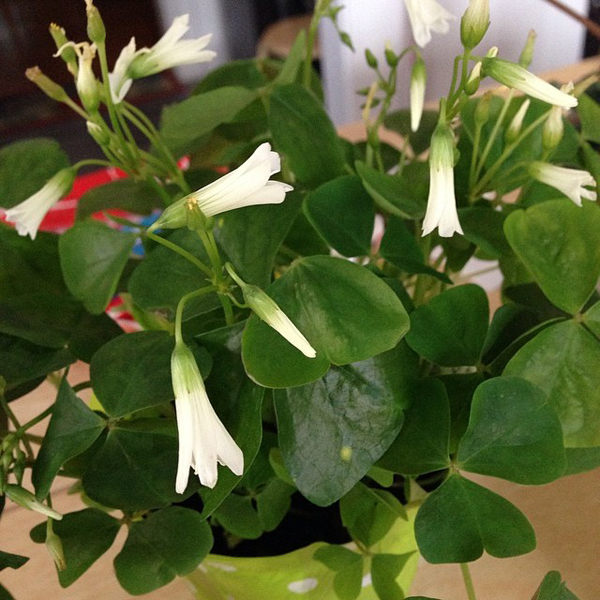 What we call shamrocks (oxalis) here in the States is not the same shamrock plant in Ireland. It's close enough for me however. Shamrocks are a popular St. Patrick's Day symbol because each of the three leaves represents part of the Trinity. They say St. Patrick was the first one to make that analogy. They are such a sturdy plant. I have let mine get too dry on many occasion and they died back. After some watering they always come back for me! I got my first shamrock in 1998 when I got my first apartment. I still have that same shamrock plus three more! One is called a "Charmed Wine Oxalis" and has maroon leaves with lavender flowers. When I saw Wegmans was selling them for St. Patrick's Day I couldn't help but get another one. Oh Wegmans had Irish Moss, so I picked one of those up also! This Irish Moss should not be confused with the red algae that grows along the Atlantic coast, also called Irish Moss, Chondrus crispus or carrageen moss. 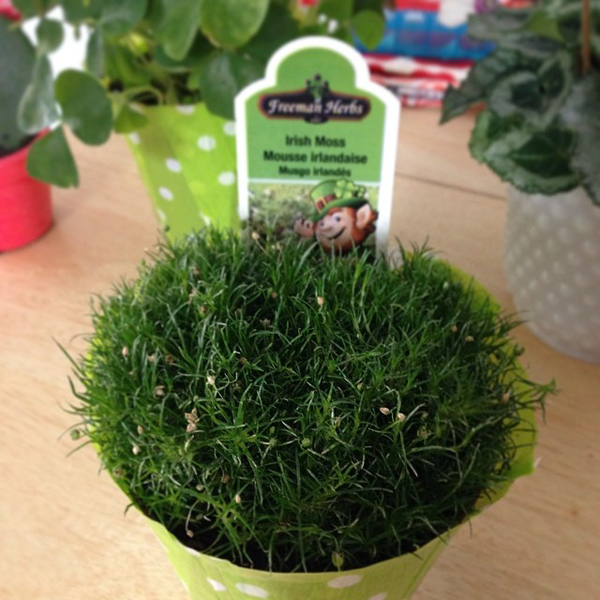 This Irish Moss is called Sagina subulata and makes a nice ground cover. It's not really a moss, but a plant. It looks really cute sitting next to my shamrock!